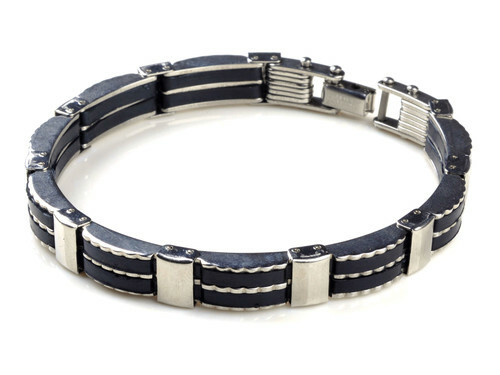 Very nice Stainless Steel and Black Rubber mens bracelet is great for any guy looking to add a little style to his step! 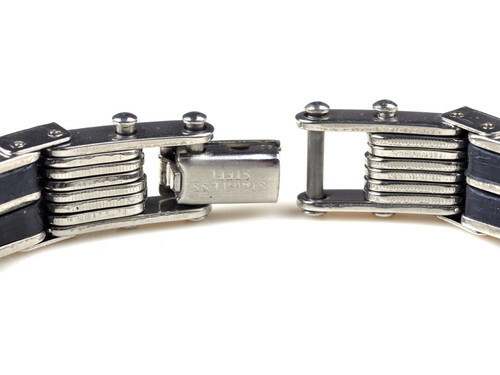 Unlike the Tungsten Bracelets, this is a much lighter feel and is great for guys who like the extra look, but not a huge fan of wearing jewelery. This that is you, this will be perfect! The bracelet is 8" long and 9MM wide. This bracelet can't be resized. As always, this comes with free shipping and comes in a very nice gift box. Nice feel and love how light it is. Like the clean look of this bracelet. This is my second purchase from Tungsten Fashions and will be back again. Super fast shipping and easy checkout process.